Work From Home And Earn Moneny Remotely. 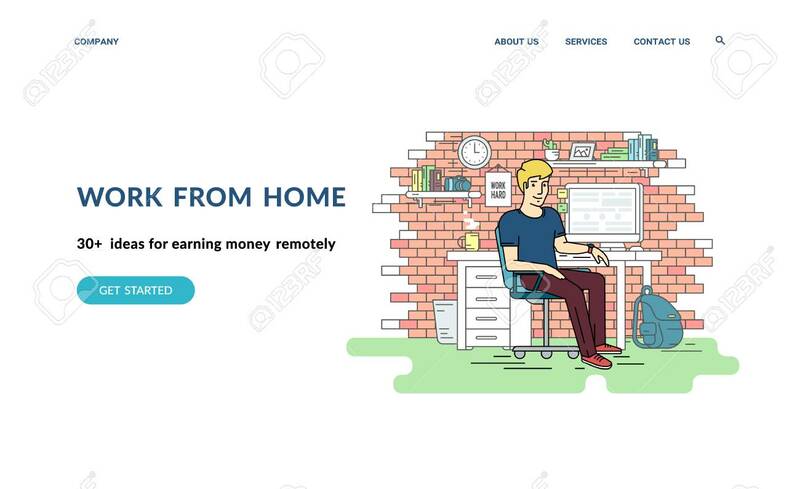 Flat Concept Vector Website Template And Landing Page Design Of Teenage Student Or Programmer Sitting At His Workplace With Computer At Home And Working Lizenzfrei Nutzbare Vektorgrafiken, Clip Arts, Illustrationen. Image 106807364.